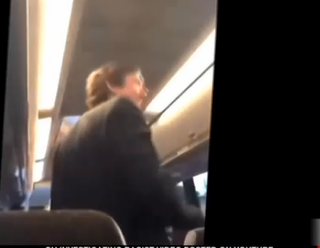 Sigma Alpha Epsilon members chant racist song. The Klansmen of Sigma Alpha Epsilon fraternity have exposed to the world what many of us already know: Racism is part and parcel of white America’s most beloved traditions. Oh, but they do. Along with most institutions in the United States of America, OU does indeed harbor bigots in its midst. These little grand wizards’ crime wasn’t that they sang the song; it’s that they got caught. When SAE was founded on March 9, 1856—159 years ago—in Tuscaloosa, Ala., “hanging n—gers from trees” was as commonplace as police officers shooting unarmed black people today. As far back as 2011, SAE embraced its bad-boy reputation as the “nation’s deadliest fraternity” instead of admitting what many of its members really are: thugs. Do not be bamboozled. They were who they were before they got there. Yes, Boren’s statement is powerful. It’s the kind of statement that is crafted after students on your campus chant about lynching “n—gers” from trees. It’s the kind of statement that seeks to separate “good” white folks from “bad” white folks while simultaneously deflecting from the systemic racism that permeates every facet of American life, from the boardroom to the courtroom to the classroom. This is one of many reasons so many black Americans distrust white people—particularly privileged white boys with wealth and access to power. Because they want us to believe this lie that racism can be flushed out and banned from campus. They want us to believe that making an example out of the little wannabe massas absolves them from the responsibility of working to dismantle the white supremacy of which they so willingly partake. I am neither angry nor surprised by these white extremists getting caught doing what white extremists do. This is American tradition. These are the words embedded in the psyches of these white fraternity brothers before they can even speak. At the same time somewhere in America, little white boys were traipsing around Confederate-flag-adorned homes, eagerly anticipating the day that they, too, could sing about segregation and murder with their fraternity brothers just like Daddy used to do. They, too, could stand in the tradition of white supremacists so afraid of being exposed as mediocre that they lean on plantation jingles to make them feel better about themselves. It would be laughable if it weren’t so dangerous. We could shrug it off if these weren’t the boys who grow up to be the killers with badges who leave our children dead in the street, blaming them for their own deaths. We could feel sorry for the pathetic creatures they are if these weren’t the boys who grow up to be the men who execute black men when there is proof of their innocence. We could dismiss the women of Tri Delta who were captured singing along with their SAE brothers if these weren’t the girls who grow up to be the white feminists demanding that we put aside our struggles of being black in America to help them seize their equal piece of white supremacist pie. As it often goes, this too shall pass, and racism as American tradition will continue as it always does. Many of us have already shifted the dialogue from the insidious racism that SAE’s song represents to applauding Boren’s strong condemnation of it—and that’s unfortunate. Imagine for one moment that a black Greek-letter fraternity at an HBCU was captured on video singing, “I’m gonna get me a shotgun and kill all the whiteys I see.” We would know the name, GPA and arrest record of everyone on that bus and their family members. Some token African American, probably Charles Barkley, would pathologize blackness in prime time, and conservative pundits would spend weeks lamenting the lack of black fathers in the home, despite that being a proven myth. But, oh to be white, young and racist in America. Luckily for them, and despite all that black people have endured in this country, our traditions don’t mirror the casual bloodlust of their own. If it did, I’m sure they’d be singing a much different tune.